Knitting cards are now available! 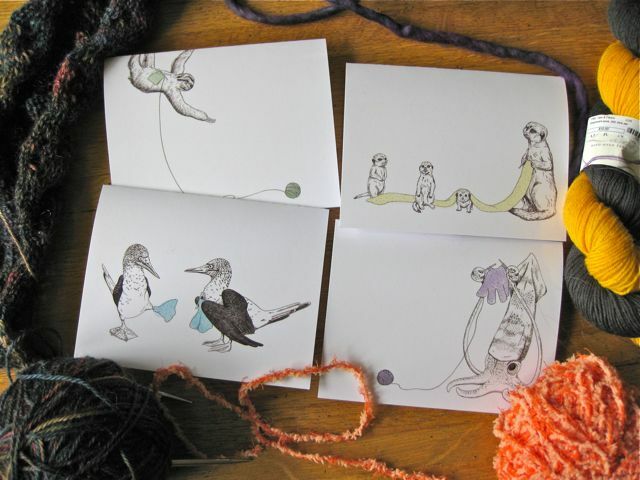 Well, so far i've only listed the set of four and the individual meerkat card. But check for the rest of the individual card listings in the next few days! Take a look HERE. I'm feeling nostalgic today. 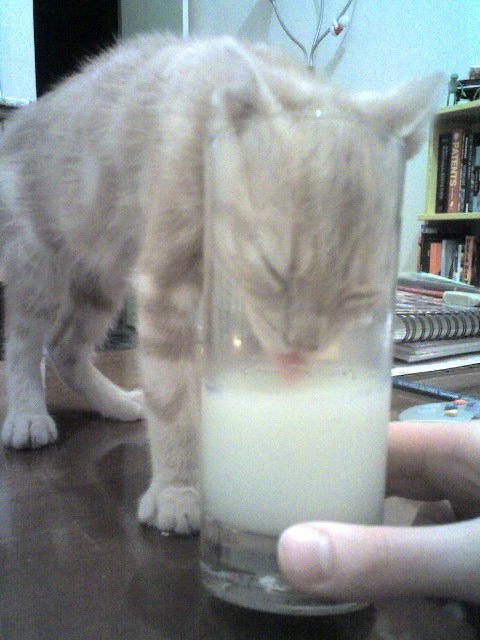 Here is Russ, shortly after he was adopted, drinking milk out of my glass. I don't think he can fit his head in those glasses anymore.